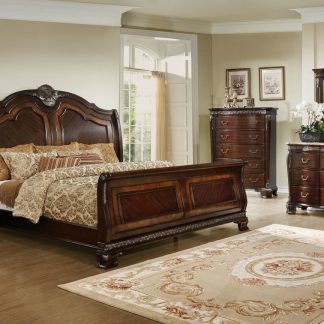 The Palace Collection exemplifies the finest in Old World European design inspiration. Dart base moldings, bead molding, acanthus leaf carvings, and genuine marble inset tops all blend to achieve an elegant addition for your home. 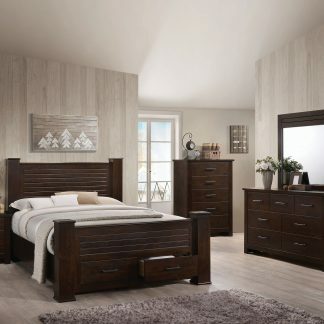 The grand sleigh bed features a bi-cast vinyl, button-tufted headboard insert. 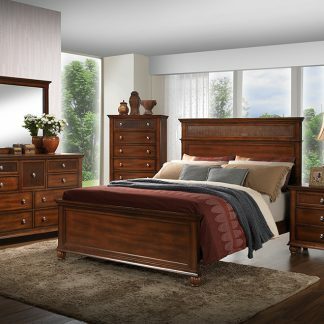 Each of the collection’s beautiful detail is accented by the dark cherry finish on birch veneers with gold highlights. 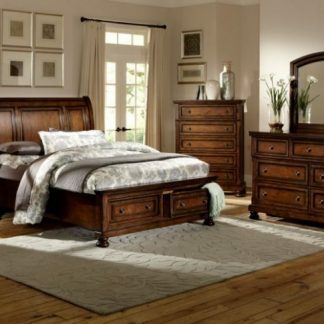 The set includes a king/queen bed frame and dresser with mirror. Purchase the chest and get a free nightstand.